Glossy wooden rainbow coloured Number Elephant puzzle in chunky interlocking pieces helps children develop co-ordination and colour & number recognition. This Fair Trade product is handmade in Sri Lanka from sustainable rubberwood. The Number Elephant has numbers 1 to 10. 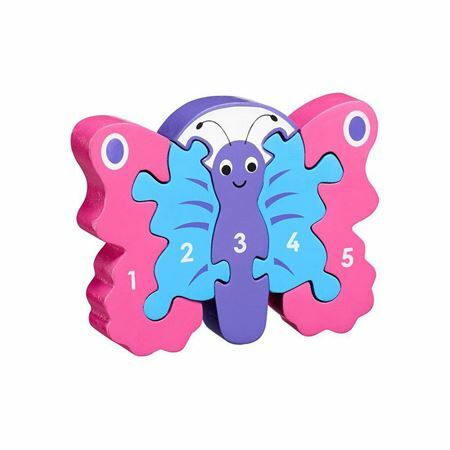 Painted wooden butterfly 5 piece jigsaw puzzle, numbered 1 – 5. Glossy wooden rainbow coloured Number Dinosaur puzzle in chunky interlocking pieces helps children develop co-ordination and colour & number recognition. 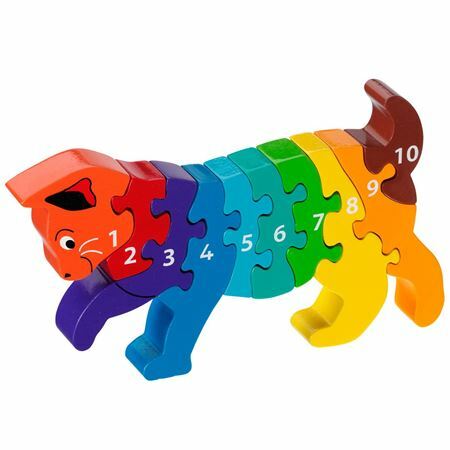 Glossy wooden rainbow coloured cat puzzle in chunky interlocking pieces numbered 1 - 10 helps children develop co-ordination and colour & number recognition. 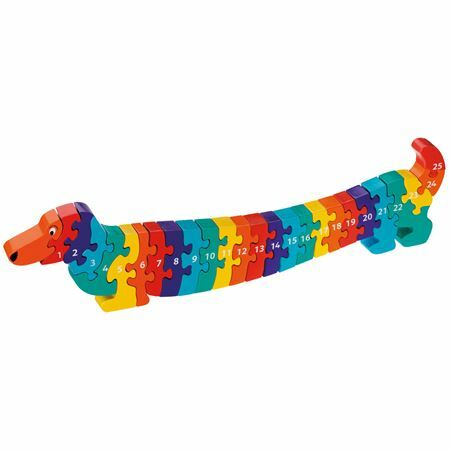 Delightful dog wooden puzzle with colourful interlocking pieces numbered 1 - 10. 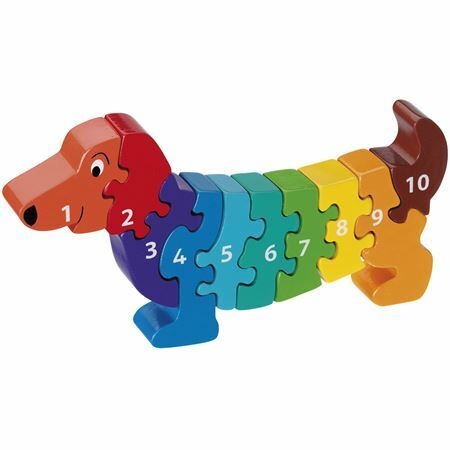 Glossy wooden 1-25 number dog puzzle in chunky, rainbow coloured interlocking pieces.